Welcome home to renovated 256 Leaning Pines Loop! 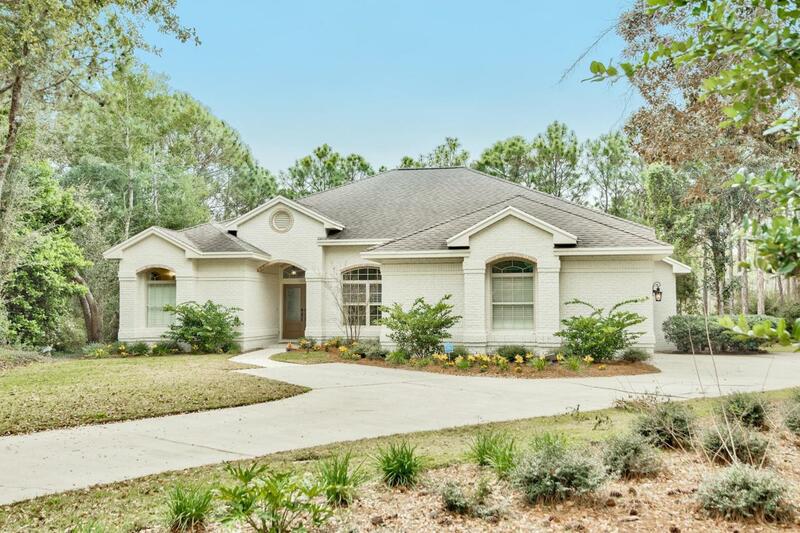 This 4 bedroom, 3 bath, 3-car garage home is nestled on an incredible half acre lot that overlooks the much sought after quiet, serene nature preserve in the backyard and, in the front yard, a private cul-de-sac on a family friendly street. Across from the home is huge common area across the street and a pathway to Plantation Park where there is basketball, tennis, pickle ball, dog park, playground, and more. Out back, enjoy the peaceful nature preserve from the spacious screened in lanai and pool or from the brick paver fire pit. During renovation the floor plan was modernized to create an open living area for families and entertainers alike.The living room, breakfast area, and family room have 8' expansive impact glass sliding doors that add to the ambiance of any party or gathering. Throughout the home are 10' ceilings with thick crown molding and custom wood floors. As you enter the home, the living space in front of you offers views of the pool and lanai all the way back to the preserve. To the right is the dining area and an office/flex space that provides privacy with paned glass French doors. The large, private master suite is on the left separate from the rest of the bedrooms making this home a true split floor plan concept. Like the living areas, the master bedroom also has a large impact sliding glass door leading out to the lanai. The master suite has two closets. The master bathroom is just like visiting the spa with a gigantic shower, seamless glass, and free standing tub. All the bathrooms are outfitted with shaker style cabinetry, updated chrome plumbing fixtures, and popular quartz counters. On the other side of the living space is the breakfast area, family room with gas fireplace, and chef's kitchen. The kitchen is equipped with white shaker soft-close cabinetry, Carrera marble surfaces, professional grade stainless steel appliances including an oversized refrigerator and huge center island with ample storage and an eat-in kitchen concept. Off of the kitchen is a guest wing with two nice-sized bedrooms each with generous closets. Also off the kitchen is the pass through to the laundry room and garage and another entrance to the dining room. Last is the private guest wing tucked away off the family room. The views of the preserve are gorgeous from the large window in the generously sized guest bedroom. The full guest bathroom has an exterior door making access from the lanai and pool easy and convenient. This home has been painted a neutral color with accents of the natural brick peeking through around the trim. It is equipped with hurricane shutters and a gas generator. No flood insurance required. 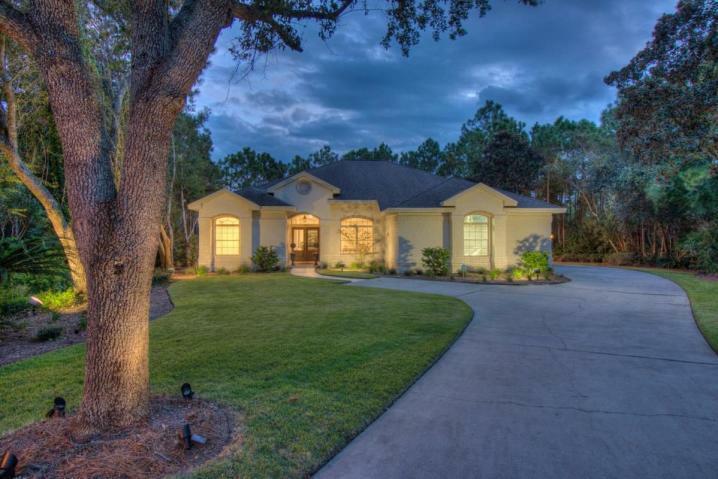 Kelly Plantation offers nature trails, parks, pool, tennis, fitness center, basketball, pickle ball, golf, horseback riding, and more. No feature or element has been overlooked in this move in ready home. The design choices, renovations, attention to detail, and superb lot location make it a cut above its competition. All dimensions to be verified by the buyer(s).